Personally chosen by Francis Ford Coppola, renowned French winemaker Philippe Bascaules came to Napa from Bordeaux in 2011 to become General Manager of the great American wine estate, Inglenook. Born and bred in the South-West of France, Bascaules was a gifted student with a love of nature that ultimately inspired his passion for œnology. In 1990, after receiving a degree in Agricultural Engineering, with a specialty in œnology, from Montpellier University in France, Bascaules began his career as assistant to the Estate Director at the legendary Château Margaux, one of France’s five First Growth Bordeaux estates. 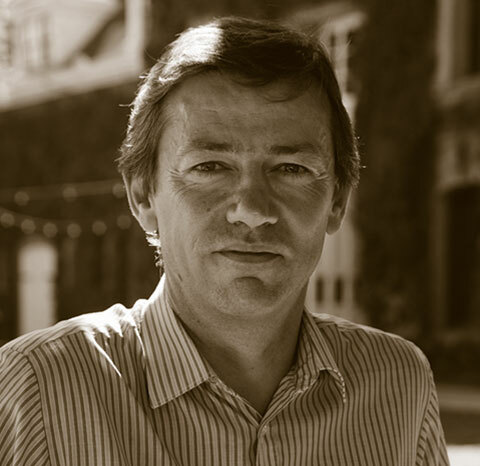 Bascaules became Estate Director in 2000, overseeing viticulture and vinification and working alongside renowned General Manager, Paul Pontallier. At Inglenook, Bascaules now leads a team of talented winemaking professionals dedicated to Coppola’s vision of making Inglenook the finest New World estate wine produced in the Old World style. In 1890, founder Gustave Niebaum stated that Inglenook would one day “produce the finest wines, to equal and excel the most famous vintages of Europe.” Over a century later, Coppola and Bascaules proudly continue the Inglenook legacy.